With the ReadyBlock® range of Dense Concrete Blocks from CEMEX, you are assured to find the building solution you need. Can be used in a variety of internal & external applications, including above and below the ground or where strength and durability are prime considerations. Typically used in cavity or solid wall constructions, also ideal for use in internal load bearing walls. 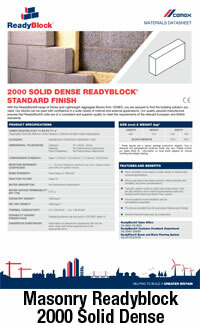 Our range of Concrete Blocks are specifically selected and are available for delivery. A low cost unit for general building work. 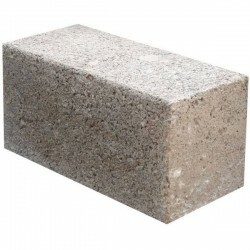 Designed for various usage from internal walls to footings, this brick is ideal for cutting purposes thus helping to reduce cost and waste issues on site. 100MM 7N DENSE CONCRETE BLOCK - Pack Size 7.2m2Dense ReadyBlock®With the ReadyBlock® range of Dense ..
140MM 7N DENSE CONCRETE BLOCK - Pack size 4.8m2Dense ReadyBlock®With the ReadyBlock® range of Dense ..